It started, as so many Tesla stories do, with a tweet from Elon Musk. He said he was thinking about taking the electric car company private, and already had the funding lined up. "Am considering taking Tesla private at $420," he posted shortly before 1 p.m. ET, referring to the potential price per share. But even for him, this was stunning. Tesla is the most valuable automaker in the United States, and Musk's fights with investors — specifically short-sellers, who profit when the stock drops — are a running Silicon Valley sideshow. The company's stock had been up slightly earlier in the day after the Financial Times reported that Saudi Arabia had quietly built a large stake in Tesla. The stock was trading at about $342 when Musk hit the Tweet button. Shares quickly jumped as high as $371. The immediate question was whether Musk was joking. 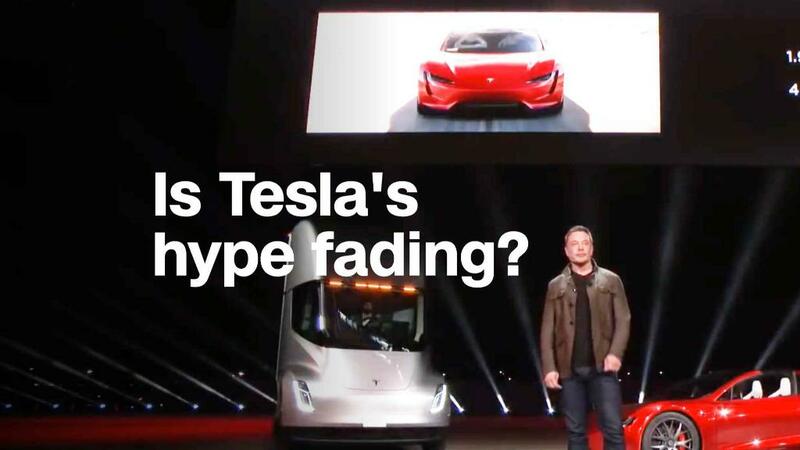 On April Fool's Day, amid growing market concerns about Tesla's cash crunch, he had tweeted a fake news release that said Tesla would have to file for bankruptcy. Major corporate news, like plans to take a public company private, is typically rolled out with extreme caution, at the risk of spooking investors or running afoul of the Securities and Exchange Commission. Sometimes trading in stocks is even suspended while a company prepares a big announcement. But Musk seemed to relish the tumult. "Good morning," he tweeted less than an hour later, adding a smiling emoji. Then he started taking questions — of which there were many. Musk said he wouldn't sell his stake if the company went private. He responded to one user who observed that going private would save Tesla "a lot of headaches." ("Yes," Musk replied.) He expressed hope that current investors would stay with the company, later adding that shareholders could either "sell at [$420] or hold shares & go private." I don't have a controlling vote now & wouldn't expect any shareholder to have one if we go private. I won't be selling in either scenario. About an hour and 20 minutes after Musk's initial tweet, Tesla actually did halt trading of its shares, pending the release of news from the company. The automaker, which had yet to comment, remained silent. He reassured investors that he planned to remain CEO. He reiterated that he would ensure the "prosperity" of Tesla shareholders "in any scenario." Going private, Musk said, would end "negative propaganda from shorts," referring to his hated short-sellers. Around 3:30 ET, Tesla released a statement via its blog, titled "Taking Tesla Private." It contained a letter from Musk sent to Tesla employees. In the note, Musk took a more measured tone. No final decision had been made, he said. Musk laid out his rationale: As a public company, Tesla is subject to "wild swings" in its stock price that serve as "a major distraction." The company also has to deal with quarterly earnings that create "enormous pressure" and affect long-term decision making. And then there are the short sellers. "As the most shorted stock in the history of the stock market, being public means that there are large numbers of people who have the incentive to attack the company," Musk said. The memo included some of the details Musk had tweeted earlier in the day; investors could stay in or be bought out at $420 a share, and shareholders would have an opportunity to sell or buy every six months. The goal, Musk added, was not to tighten his grip on Tesla. "This has nothing to do with accumulating control for myself," he said. "I own about 20% of the company now, and I don't envision that being substantially different after any deal is completed." Musk then tweeted the blog post with his own commentary. "Investor support is confirmed. Only reason why this is not certain is that it's contingent on a shareholder vote," he said. Trading resumed about 15 minutes after Tesla posted the memo — roughly three hours after Musk's first tweet. Shares ended the day up 11%, just below $380. Musk's tweetstorm was over, but Tesla's future was uncertain.